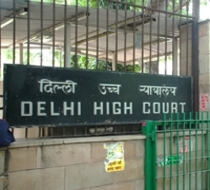 The Delhi High Court today directed the Centre to implement its National Sports Policy, which fixes 70 years as the upper age limit and 12 years as the maximum tenure for the chiefs of various sports federations. A bench of Chief Justice Dipak Misra and Justice Manmohan gave the direction while turning down a plea by Indian Olympic Association and five other federations to restrain the government from implementing the policy. "At present, we are not inclined to direct the stay of the operation of the guidelines and also the steps taken in pursuance of the guidelines," the bench said. The Centre had on May 1 come out with the guidelines, fixing 70 years as the upper age limit for the heads of the sporting bodies and stipulating that they would not continue in the post beyond 12 years, with or without a break. The guidelines also provided that the secretaries and treasurers of national sports federations (NSF) and also the IOA should not have more than two successive tenures of four years each. Giving a clear signal to the sports bodies to implement the guidelines, the bench said they cannot dilly-dally on the pretext that the matter is pending in the court. "No excuse can be adopted by either of the parties that the restraint has to be applied because the matter is subjudice when this court has categorically stated that it is not inclined to grant stay in respect of the guidelines or action taken thereon," the bench said. The sports bodies, which had gone to the court against implementation of the guideline including those for badminton, swimming, shooting, athletics, archery. They had approached the court after the Centre framed guidelines and issued notices to them, seeking adherence to the new rules. Challenging the policy, the counsel, appearing for the sports bodies, contended the government guidelines were arbitrary and that the government had no power to frame them as only the legislative bodies were empowered to enact such laws. Availability of nba locker codes and badges are here for free. Its wonderful and exciting to visit, play nba games for free nba 2k17 codes . Here on this mentioned website you get the whole world of nba gaming. Now playing nba games online has got simple. Thanks to the awesome website which made it possible.